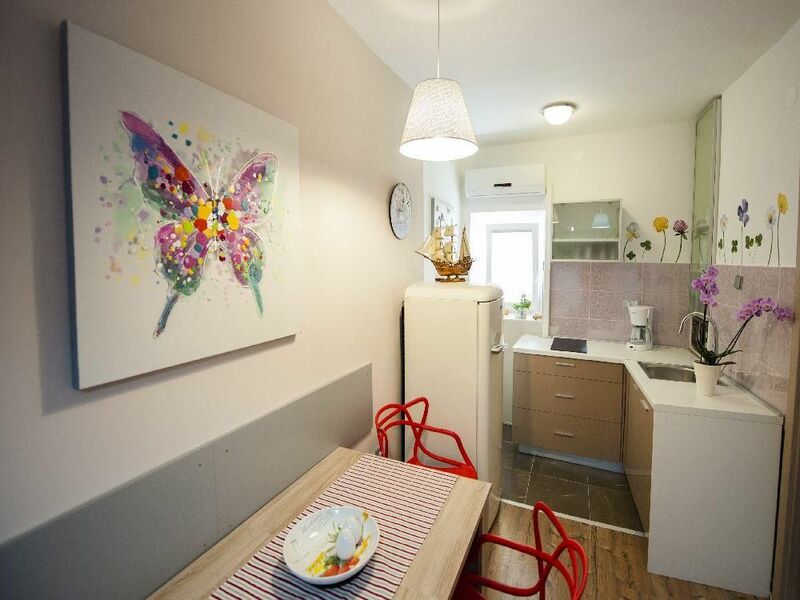 Apartment Lukman is located in the heart of Rovinj’s Old Town, on a typical narrow Mediterranean street and just steps away from major tourist sites. Providing all modern amenities, such as Wi-Fi, air-conditioning and unique furnishings, the Lukman apartment also offers easy access to the coast and beaches. All accommodation units feature a fully equipped kitchenette and a seating and dining area with satellite TV. Within the same house, guests can find a charming art gallery, while a green market can be reached in a 2-minute walk. A grocery store is just a couple of steps away. Manorial palaces, churches, art galleries, museums, shops and the main town square, as well as numerous exquisite restaurants serving local delicacies can all be found in the immediate vicinity. Rocky and pebbly beaches can be reached in a 3-minute walk, while Punta Corrente, reachable in a 15-minute walk, features pebbly city beaches surrounded by a pine tree forest. In the town’s centre, guests can book organised trips to nearby islands and daily trips to Venice.